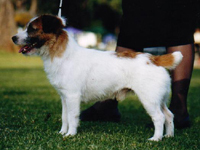 Jarnee/JR Just A Matilda's first litter was to Salto, his pedigree carries the bloodlines from the famous Australian Baylock Kennels, well known and exported all over the world. 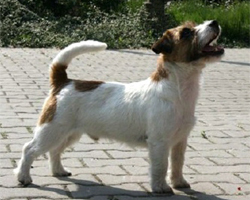 The litter was born on the 6th of February 2008, two males and four females, all with the typical black facial mask, possibly inherited from Bim JRI-19. 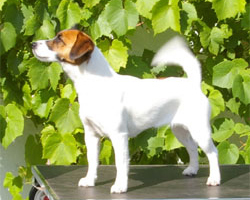 Salto has passed mental description, has one more CAC to gain befor getting his Swedish Championship and is lacking one more CACIB in another country than Sweden, for gaining his International Champion title. 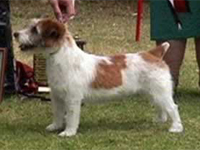 I am very happy with the JR Just B-litter and Salto's mother Wolfhouse Ukulele, is full sister to the father of the JR Just B-litter, Multi Ch Wolfhouse Upbeat. 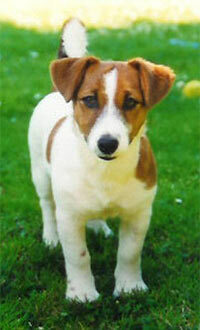 I therefore choose to go on the same bloodlines for Matilda's first litter. 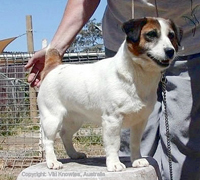 The litter have an 100% Australian pedigree, with at least eight known generations of ancestors. 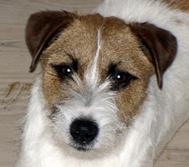 Salto - very beautiful head. 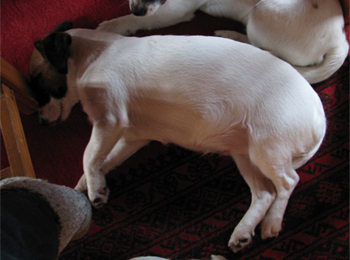 Still three weeks to go. 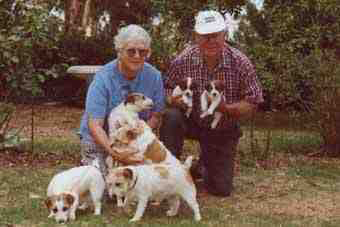 with a few of their dogs. 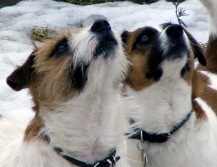 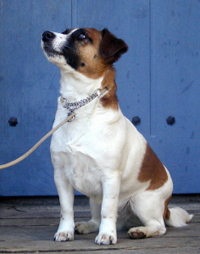 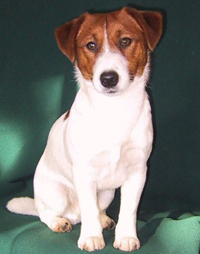 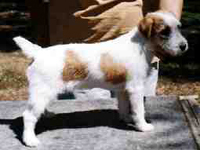 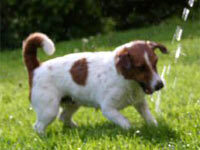 Baylock is one of the early breeders of Jack Russells in Australia. 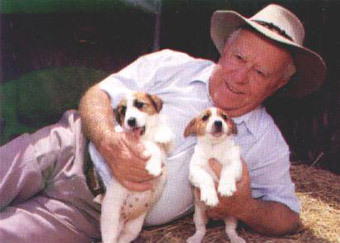 Curly Sullivan is no longer with us, his wife Pam is now running the Baylock Kennels alone. 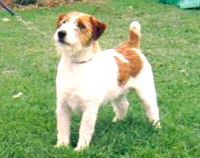 Curly was not only the prime mover in getting the Jack Russell recognized in Australia, but also world wide. 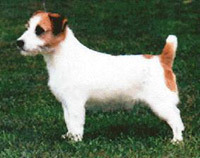 When Ch Baylock Classic was imported 2003 from Australia to Denmark by Pernille Monberg (Wolfhouse) and Christine Monberg (Tumblewind), she was in whelp to AUGRCH Coleann Brown Lagar. 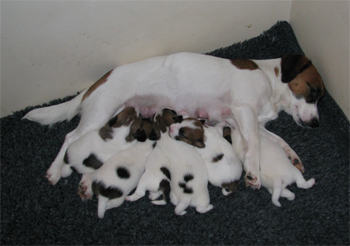 March 3, 2003 there were six puppies born, four males and two females, all got names starting on the letter U. 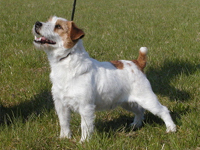 Many of these puppies have had a big influence on the breed, especially in Denmark. 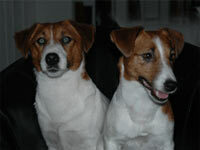 I am happy to have Wolfhouse Upbeat, Wolfhouse Ukulele and Wolfhouse Ulricka in my bloodlines.